“Kickstarter Relaunch: Nouveau Playing Cards by Bona Fide Playing Cards” is updated #2. 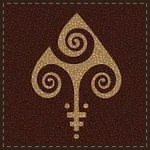 The Queen of Clubs designed by peacemakerwarfreak (nickname). 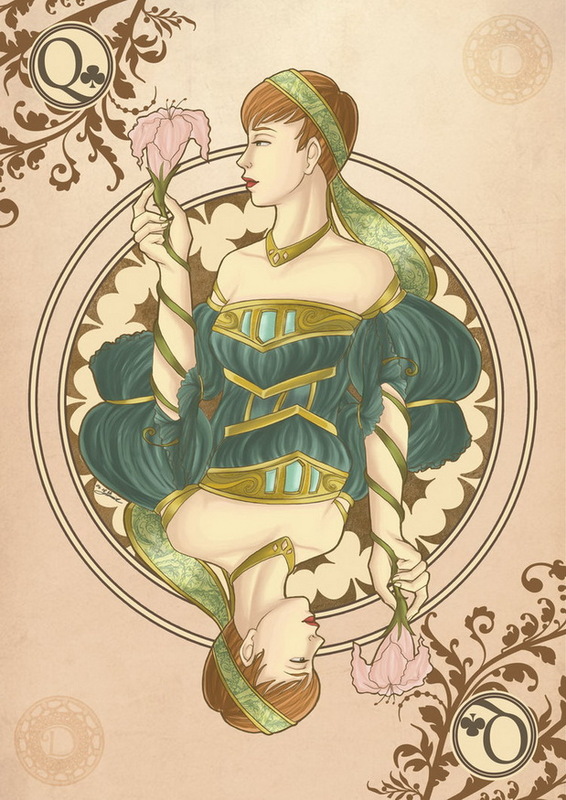 She used Art Nouveau style for this playing card. 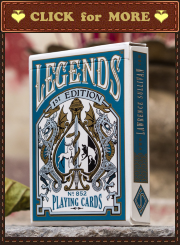 Some decks of playing cards produced by Lo Scarabeo (Italy) have already been mentioned on pages of this blog. 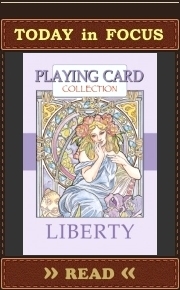 This post dedicated to another deck by Lo Scarabeo – Liberty Playing Cards. Art by Antonella Castelli is featured on these playing cards. The artist was inspired by works of the Czech Art Nouveau painter Alphonse Mucha. Art Nouveau, Liberty, Floral Style, Modern Style, Jugendstil: these are the various definitions of a single style which positioned itself in Europe and the United States around 1900, especially in the field of applied arts (such as illustration) and architecture. Its characteristic floral, stylized and allusively symbolic curved lines which develop into asymmetrical and two-dimensional decorations also forcefully entered the world of production in a profitable encounter between industry and art. This splendid deck of cards pays tribute to the Liberty utopia with the elegant and light graphics of this style. Printed on casino cardboard with smooth finish.